The dysfunctional family is a tried-and-true topic for a novel or a movie, and it was put to good use in the 1999 film Cookie’s Fortune. 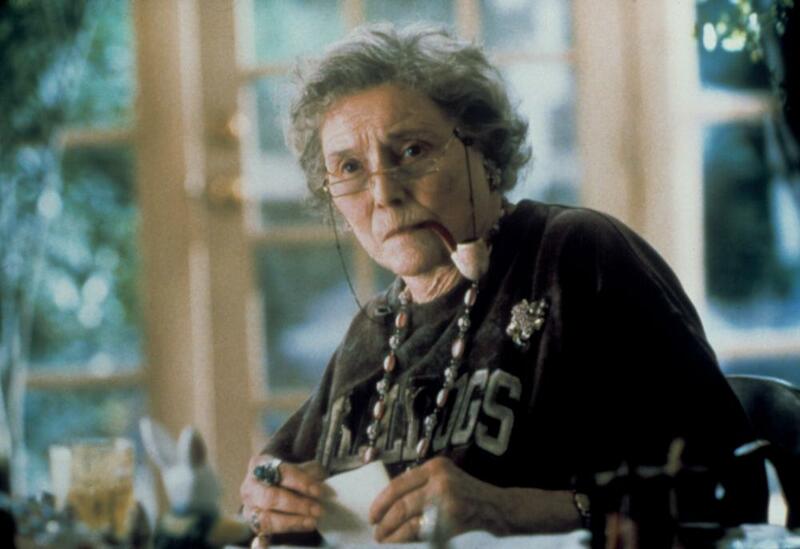 The movie was written by Anne Rapp and filmed on location in Holly Springs, Mississippi; the ensemble cast includes Glenn Close, Charles S. Dutton, Julianne Moore, Liv Tyler, Patricia Neal, Chris O’Donnell, Ned Beatty, and Lyle Lovett. As Easter approaches in a small southern town, widow Jewel-Mae “Cookie” Orcutt (Patricia Neal), who has never reconciled herself to the death of her husband, Buck, has decided that her own death will reunite her with him. She uses one of her revolvers as the instrument for this transition. 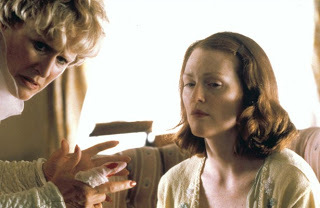 Her body is discovered by her daughters Camille Dixon (Glenn Close) and Cora Duvall (Julianne Moore). Camille, a half-mad playwright, cares only that news of the suicide will disgrace the family so she forces the dotty but lovable Cora to help her in a clumsy attempt to make the death look like murder. This scheme has an unintended consequence when the police come to suspect and arrest a black man, Willis Richland (Charles S. Dutton), who lives on Cookie’s property, does odd jobs around the place, and is her closest friend in town. Camille, who has a tenuous grip on sanity, knows better, of course, but her fear of scandal and her desire to become the grande dame of Cookie’s house keep her lips sealed. Among those who find it unlikely that Willis killed Cookie is Cora’s funky prodigal daughter, Emma (Liv Tyler), who has just returned to town after going AWOL. Unlike her mother and aunt, Emma shared a mutual affection with Cookie, and she is confident of Willis’s integrity — and that’s without knowing that Willis has deeper ties to the family than anyone but Cookie was aware of. This is an oddball, engaging story, and the outstanding cast lives up to expectations. I, for one, couldn’t get enough of Liv Tyler. This film is billed as a comedy, and it has plenty of comic moments. Still, portrayals of madness always give me a little chill, and Glenn Close — particularly in the last few moments — inspires a full-blown shudder. “Oddball” and “engaging” are enough to catch my attention. I do hate that Patricia Neal’s the one who exits, stage left, but there you are. I recently saw the trailer for “August: Osage County”, and although both films involve family dynamics, this one actually sounds more appealing. I’m especially intrigued by the fact that it was filmed in Holly Springs. There’s some fine, fine blues played up there, and it’s on my list of places to visit when/if I get a chance to make pilgrimage to the Mississippi hill country. It would be fun to see the film just for the location. Yes, the location adds a lot to this film.